Converging on a secluded island off the west coast of Canada, a group of Israeli, Palestinian, and Canadian teenagers participated in a unique peace and filmmaking camp. 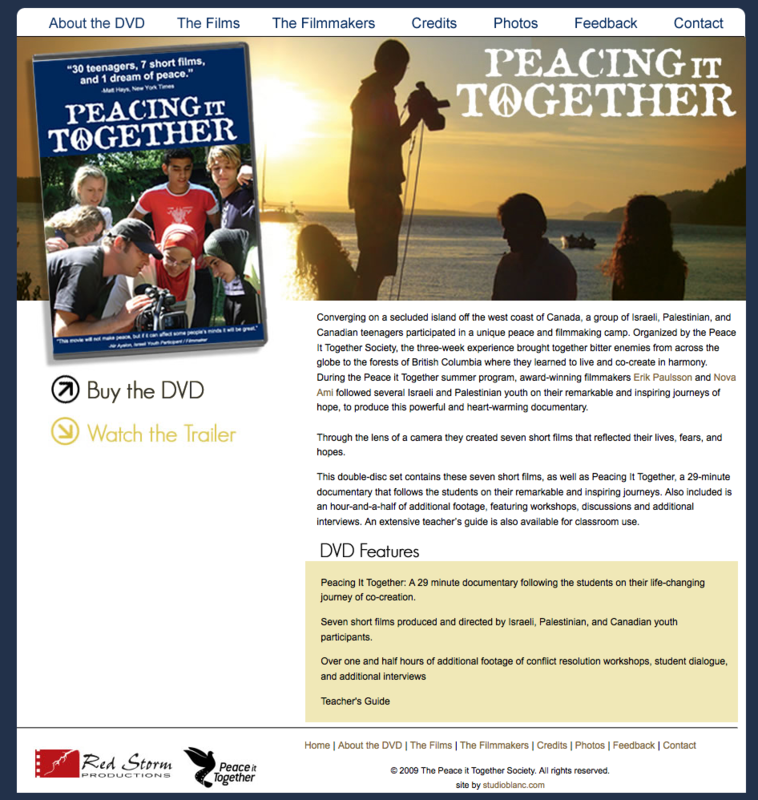 Organized by the Peace It Together Society, the three-week experience brought together bitter enemies from across the globe to the forests of British Columbia where they learned to live and co-create in harmony. During the Peace it Together summer program, award-winning filmmakers Erik Paulsson and Nova Ami followed several Israeli and Palestinian youth on their remarkable and inspiring journeys of hope, to produce this powerful and heart-warming documentary. Through the lens of a camera they created seven short films that reflected their lives, fears, and hopes.